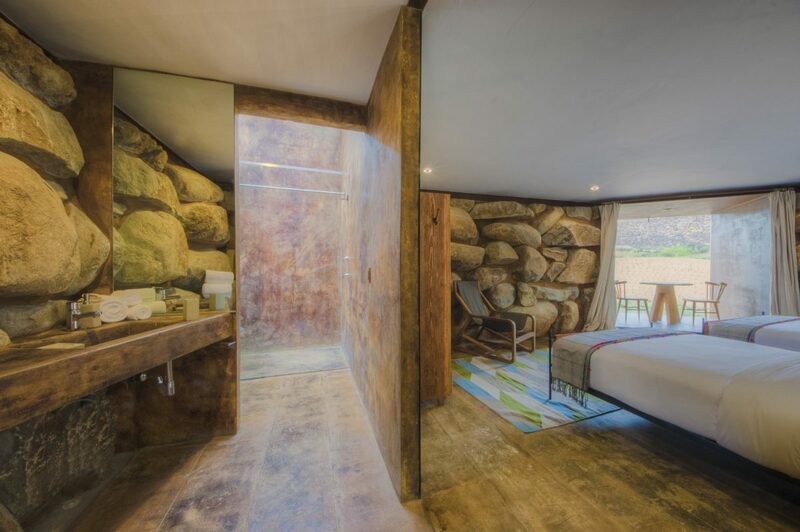 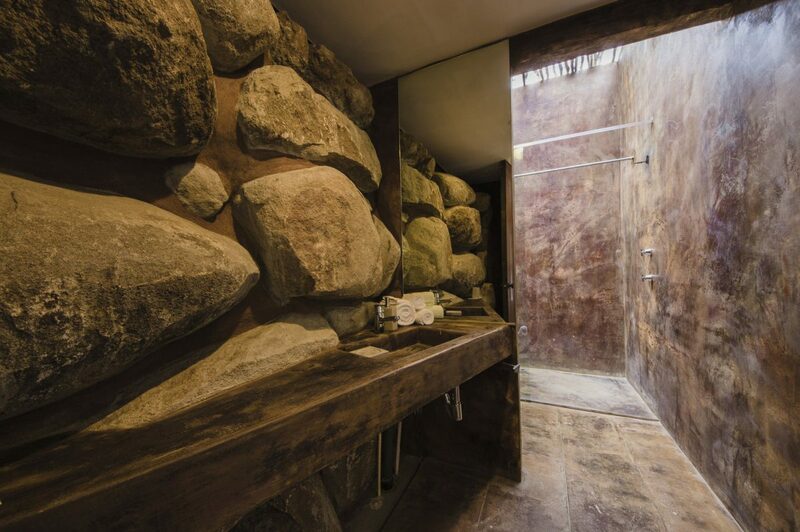 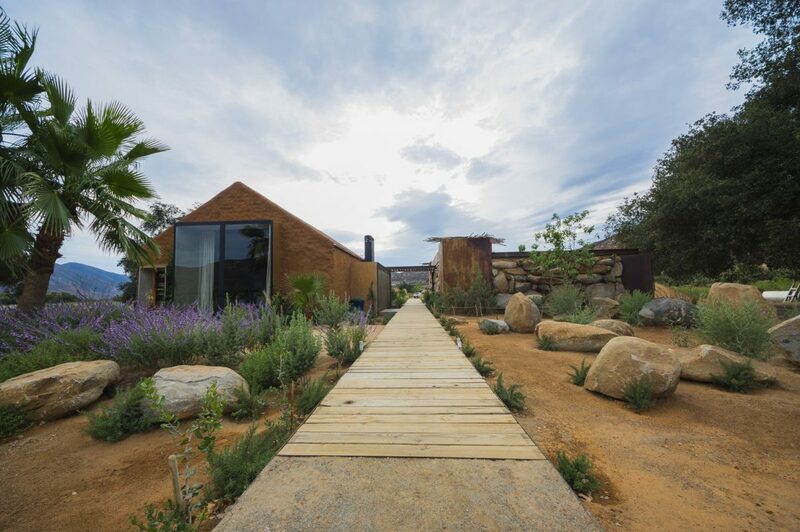 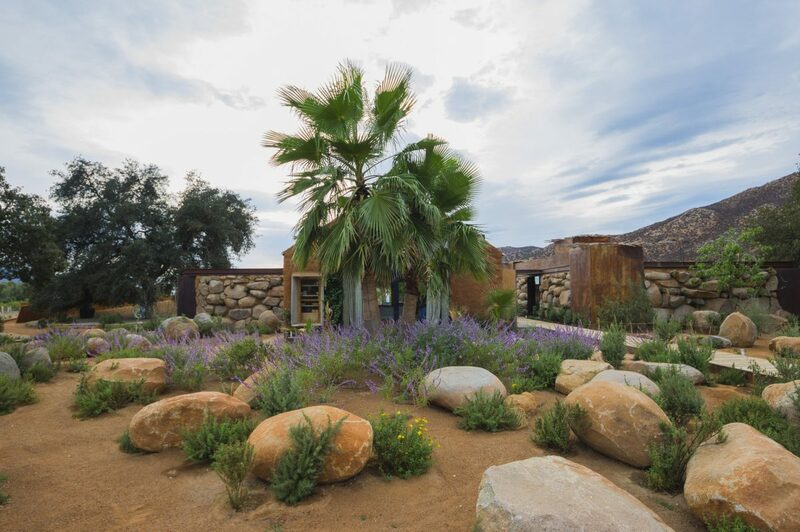 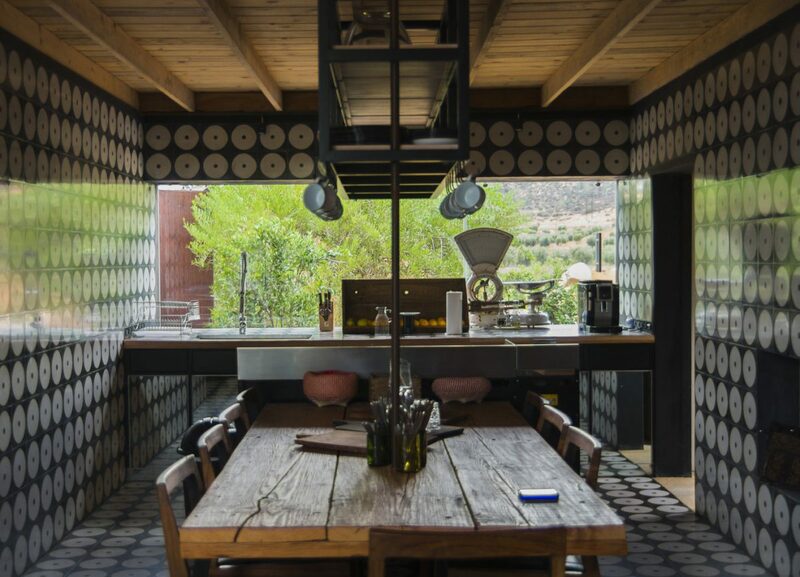 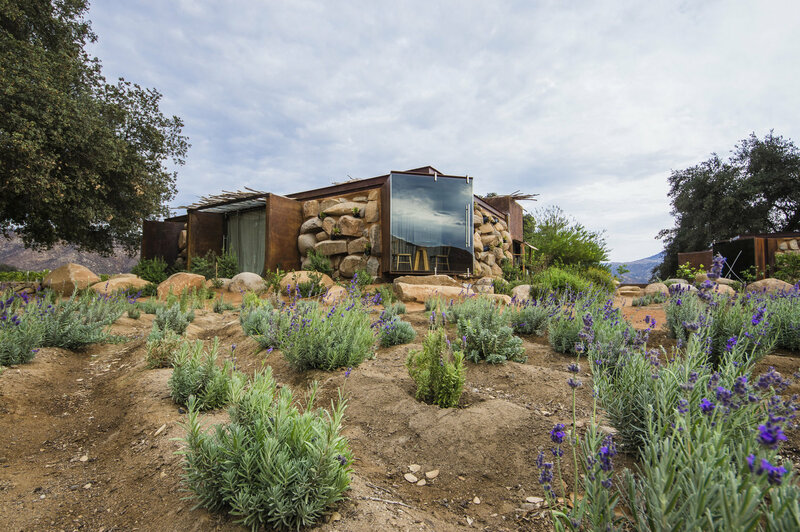 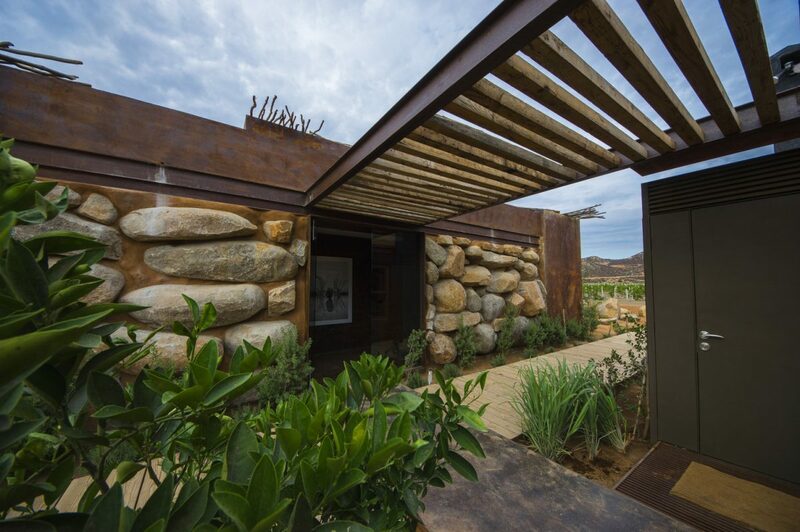 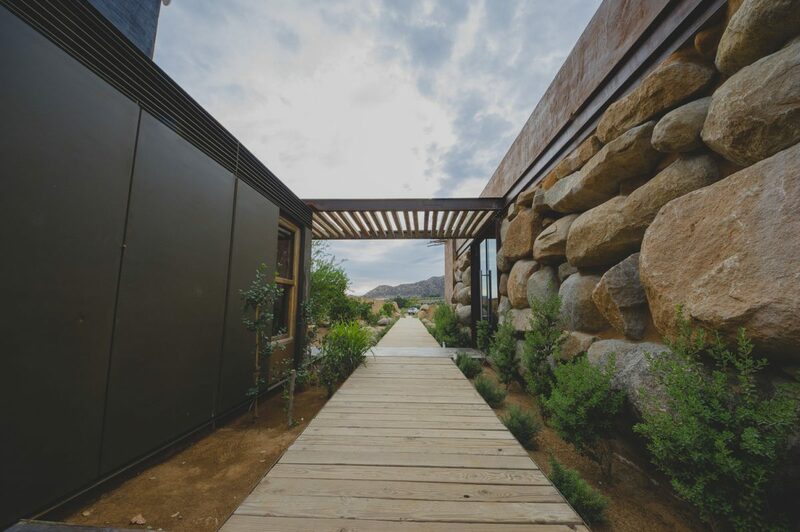 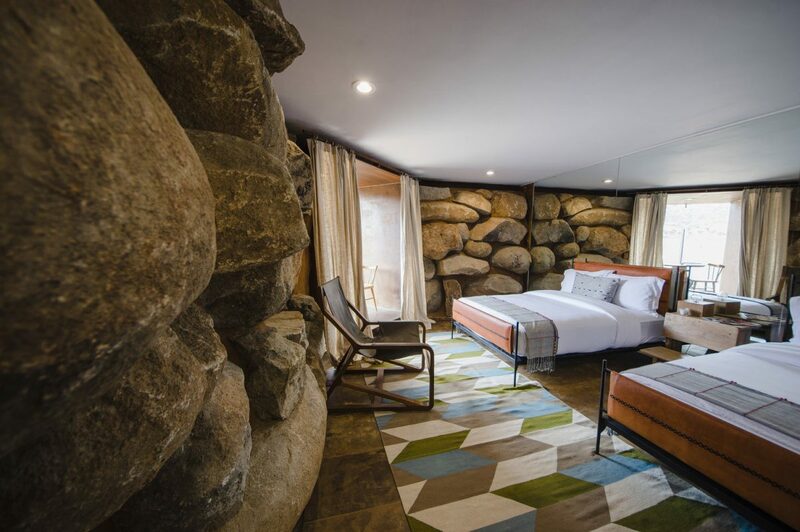 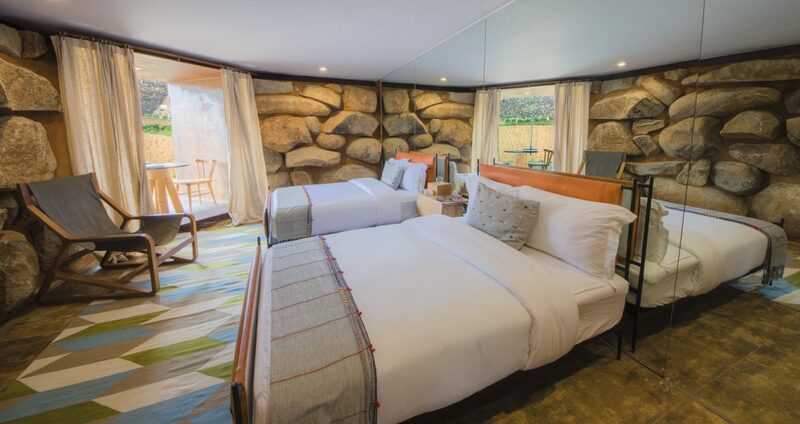 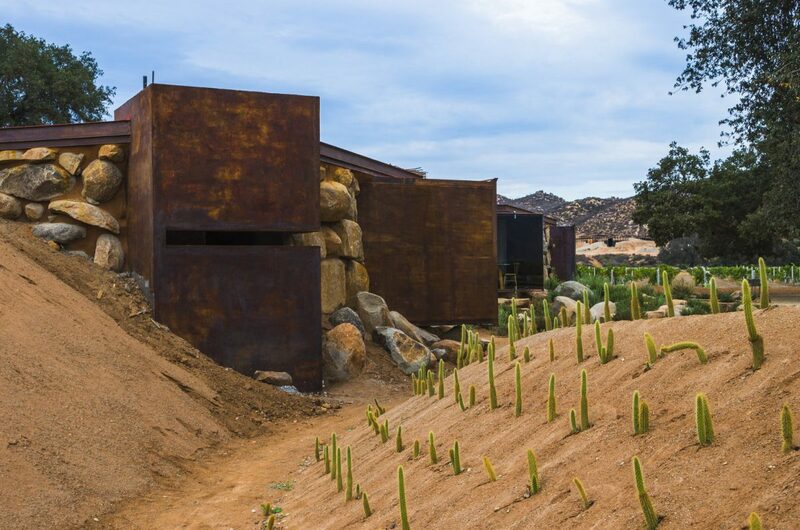 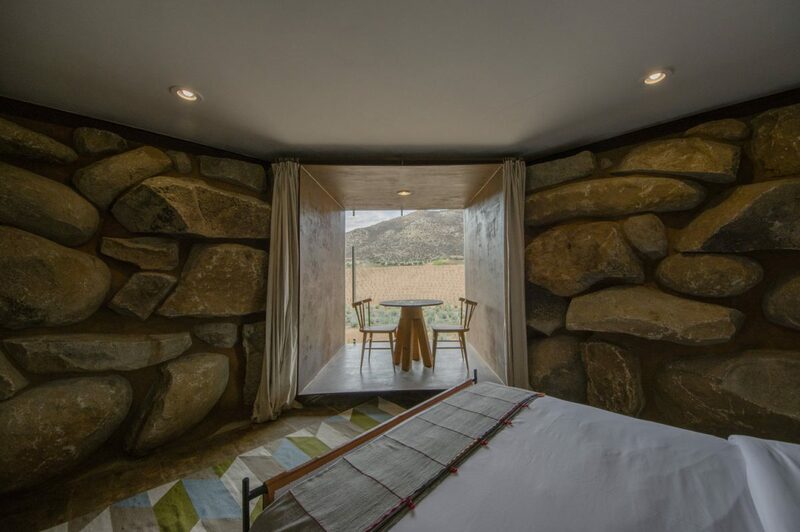 House 8, located in the wine region of Baja California, The Valley of Guadalupe is part of the Bruma project, consisting of a wine, hotel and villas is a project created from the general to particular. 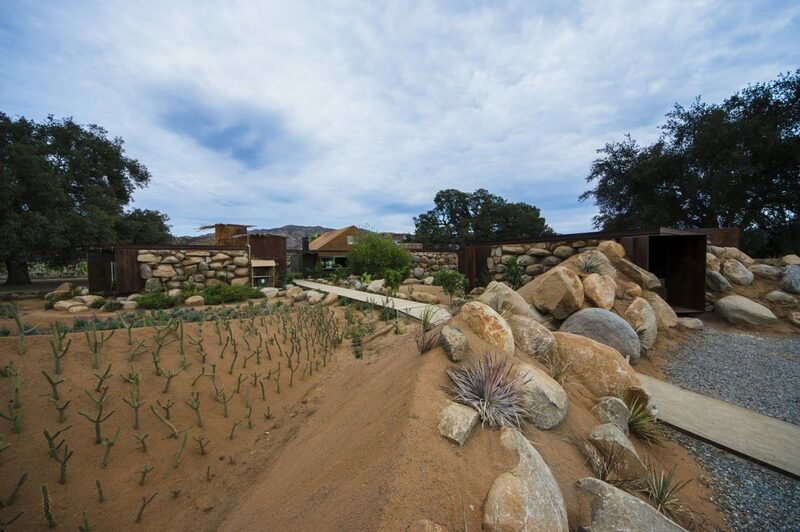 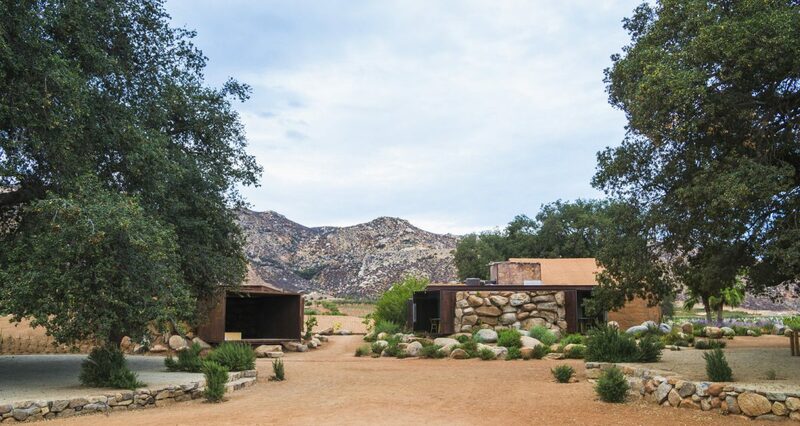 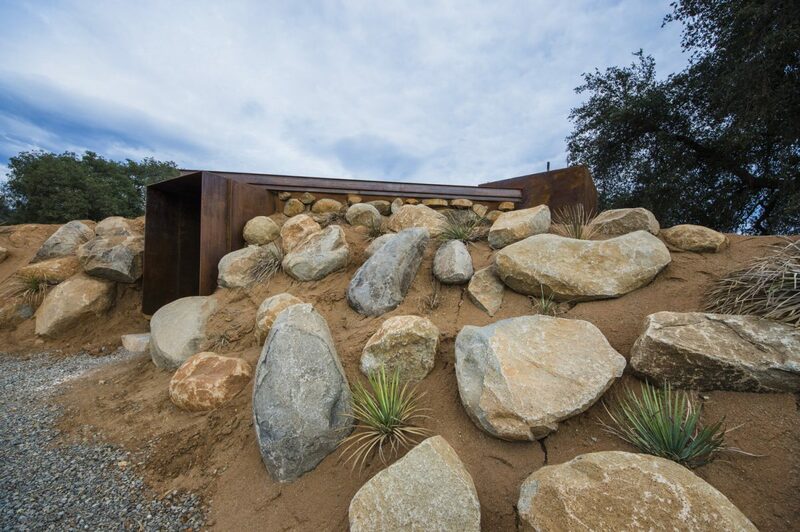 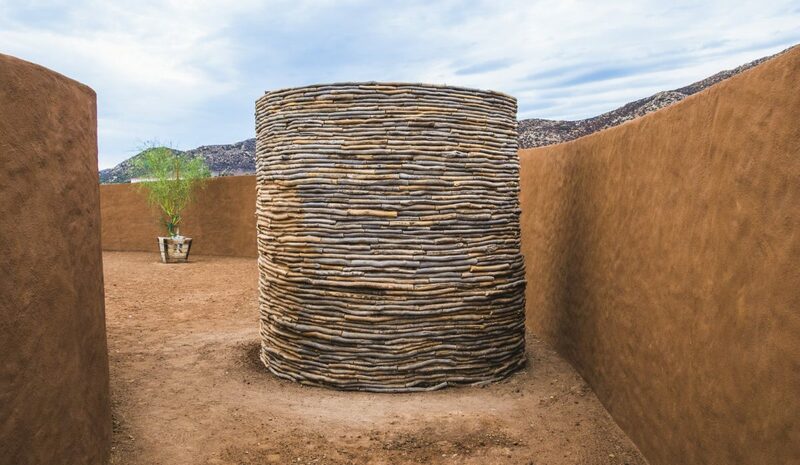 This project emerged from the design of landscape. 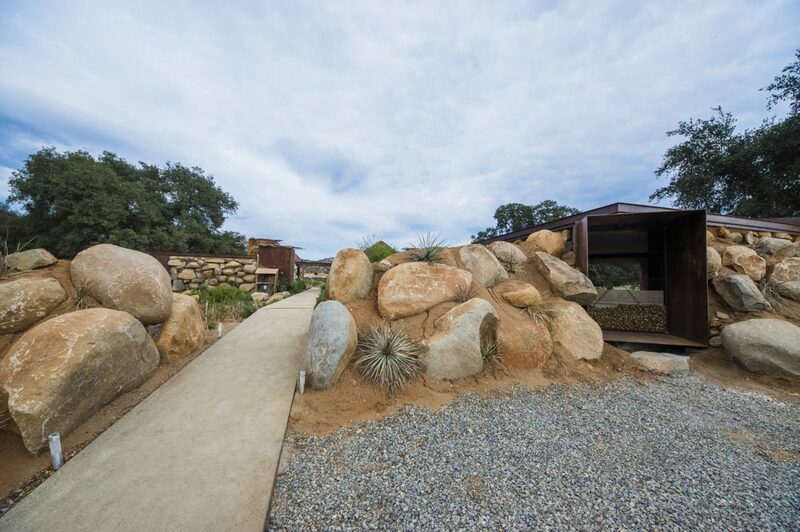 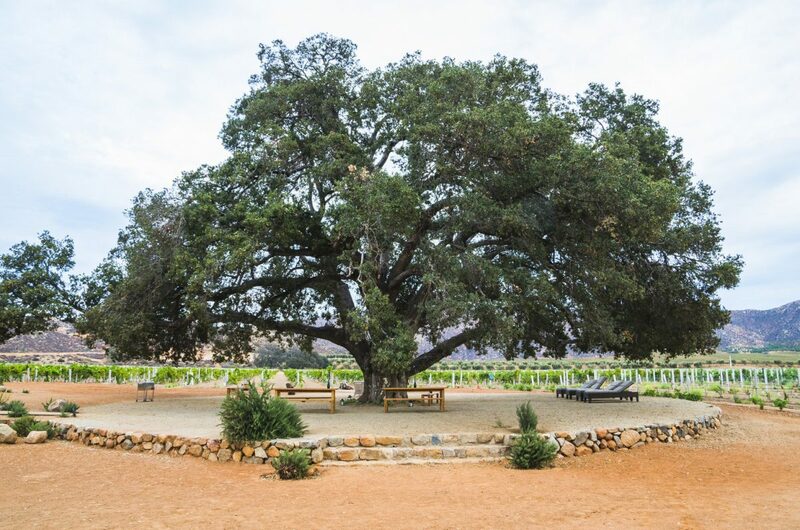 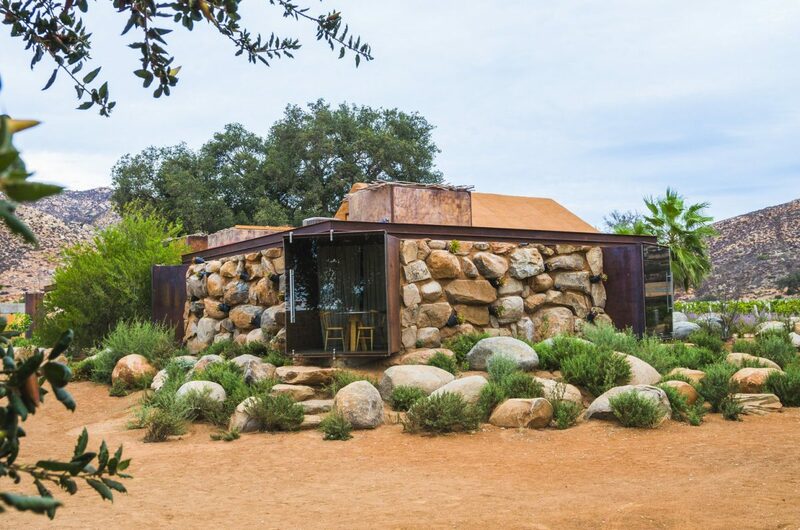 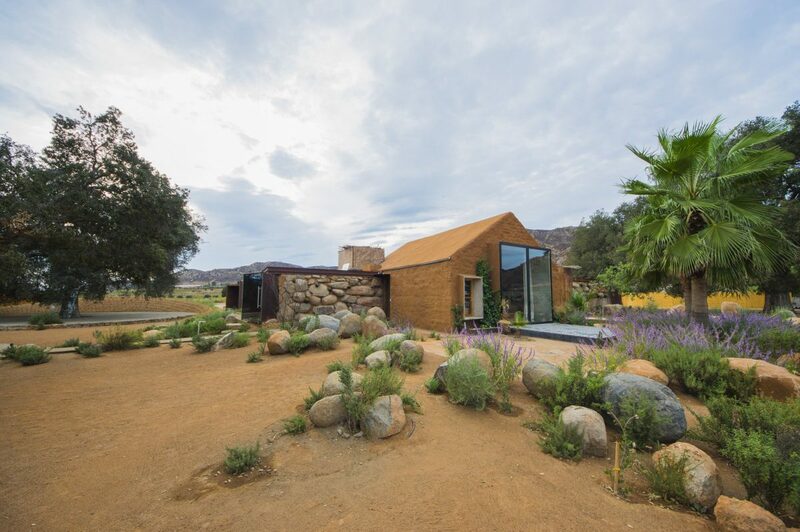 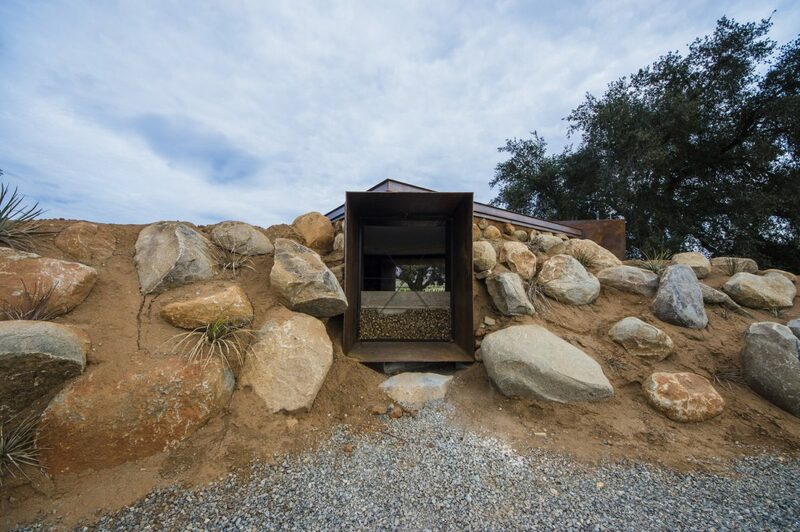 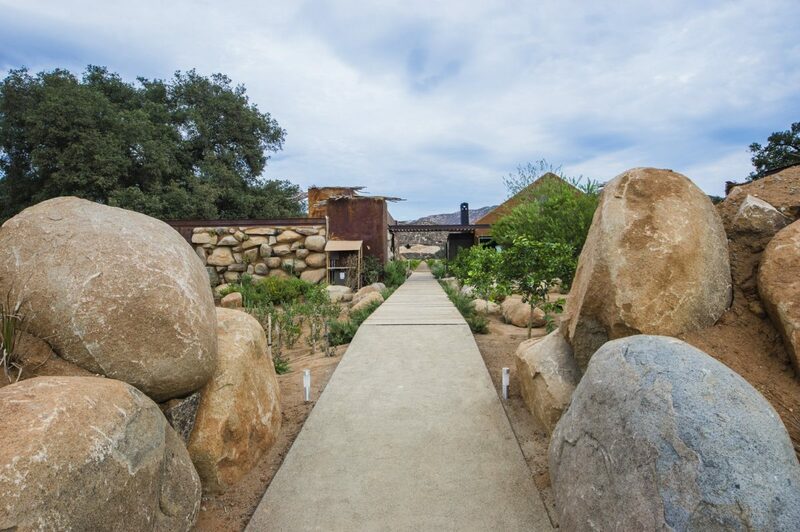 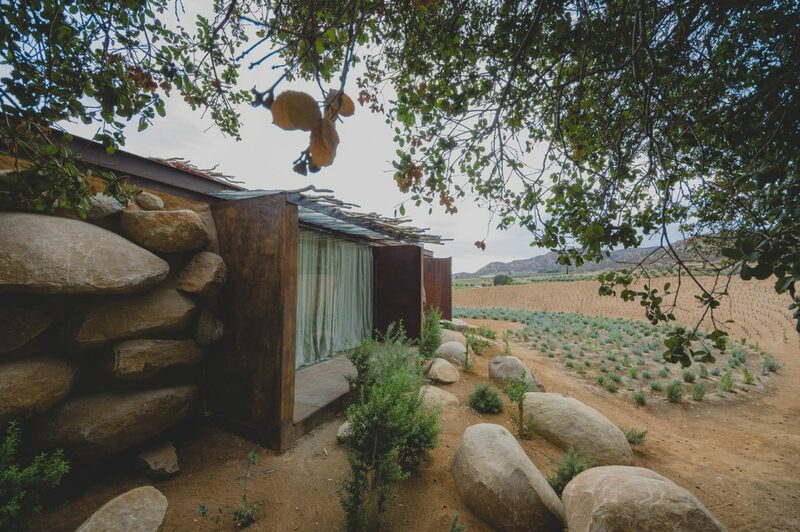 Considering vegetation, rocks and gardens to create an environment of privacy sheltered by trees and vineyards, which make the guest have the feeling of sleeping in the garden . 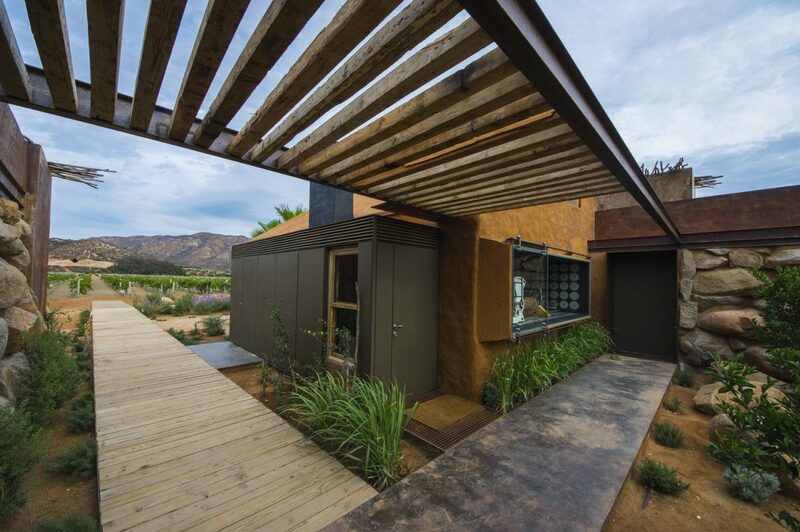 With windows and sliding doors that allow to merge the interior spaces with the exterior. 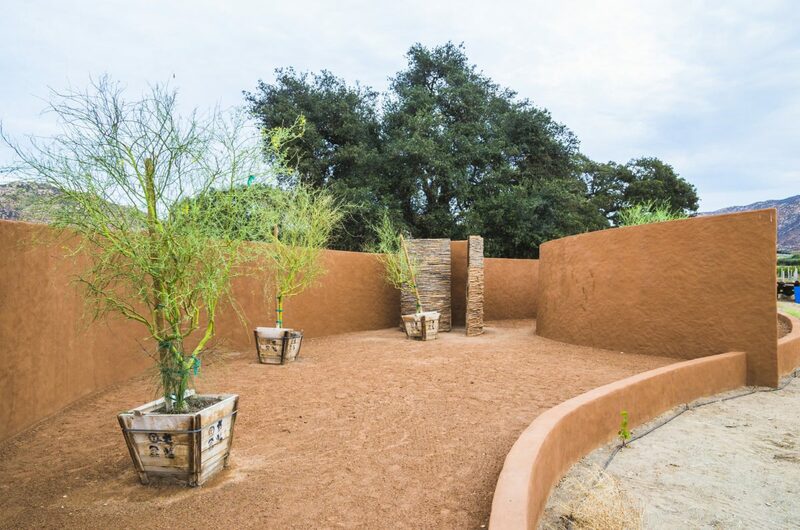 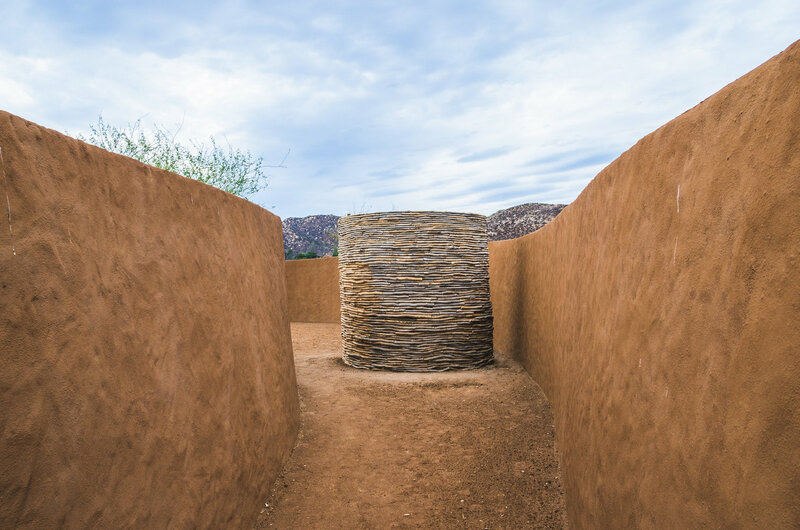 Gardens were created using the same elements of the site, approach suggested by the teacher Francisco Toledo. 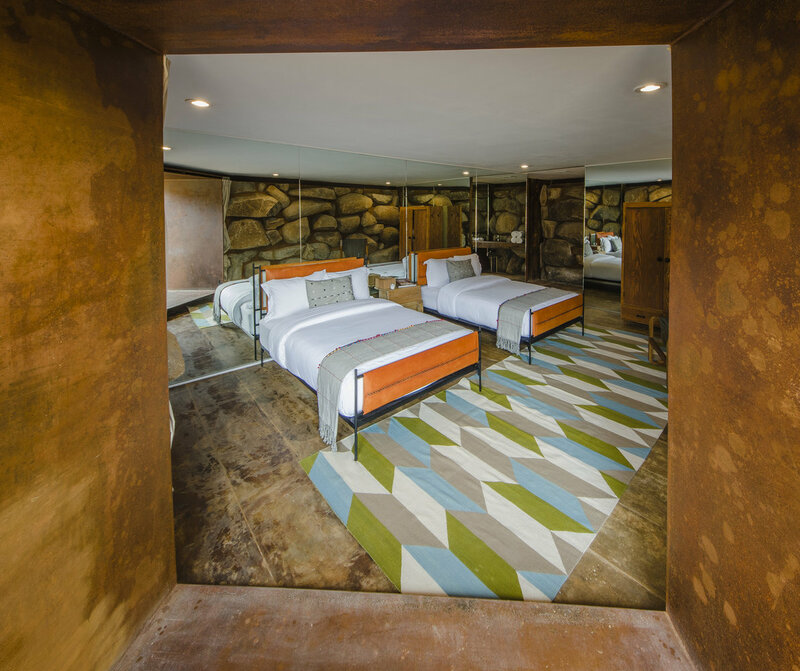 House 8 is an exclusive “bed and breakfast” with five private rooms that connect to a patio, it also has a common area like a living room, kitchen, bar and dining room. 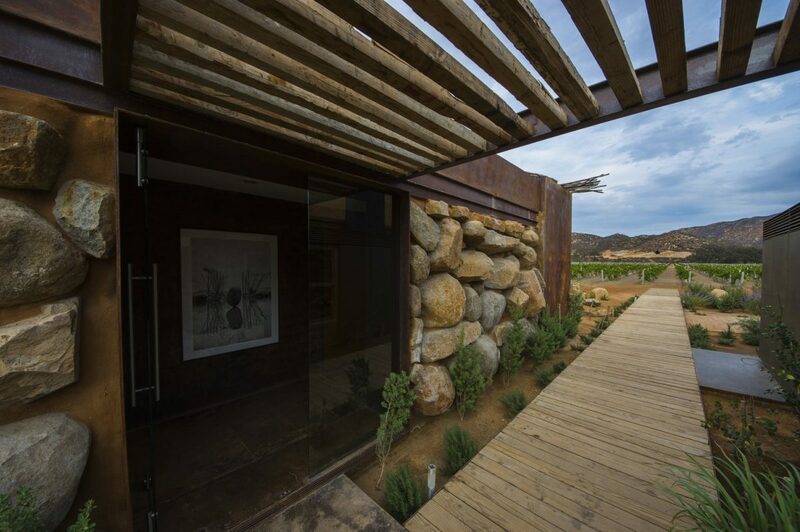 It has a reception area where guests can also meet.